New Ableton Max For Live Devices - Download 18 for Free! If you are an Ableton Live Suite owner, you’ll definitely want to take advantage of the many unique music production and sound design tools Max for Live has to offer! Max, originally developed by Cycling’74 in the late 90’s has since been renowned as one of the world’s leading tools for sound designers, interactive composers and music technologists. Max for Live is a special version of Max that operates within Ableton Live 9 Suite. What makes it so awesome is it’s ability to offer custom tools and macros for building a wide variety of devices to manipulate incoming MIDI signals and digital audio. 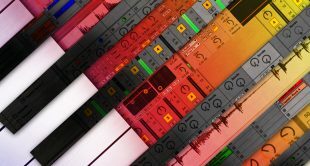 Recently, Ableton and Cycling’74 announced some great Max for Live devices you should know about; AND some of these devices aren’t just useful for producers. They are also for live performers and those integrating computers and electronic elements into bands. First, meet BeatSeeker by developer Andrew Robertson. This device has some really cool tempo-syncing features you can use when performing live. The device works by “detecting the BPM of any incoming, rhythmic audio signal and matching Live to its tempo”. All you need to do is set up a microphone with a rhythmic audio signal going into Live, have Max for Live opened and BeatSeeker enabled on the track. From there, Live’s master tempo will adjust in real time to the changing tempo of the incoming audio. While we haven’t extensively tested it with a variety of audio sources just yet, it seems like a great addition to the ever-expanding tools Live offers for improvisation and experimentation for “live” electronic music. You can purchase this device for $29 right from Ableton’s online store. In addition to the release of BeatSeeker, Cycling’74 also recently announced the release of Max version 7. 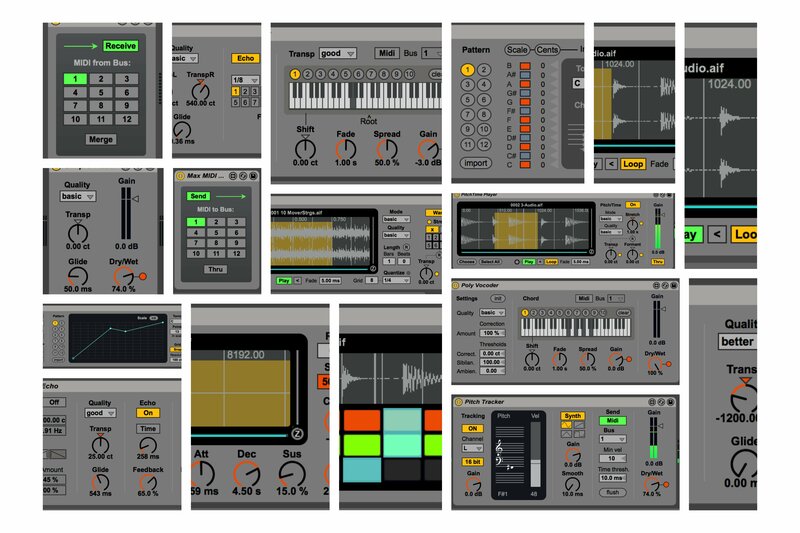 This update brings some new features and to highlight some of them, Ableton and Cycling’74 are offering 18 unique devices that 100% free to download. These devices categories include sample playback, pitch shifting, pitch analysis, vocoding, retuning and MIDI sidechaining. All of the devices in this free pack highlight some of Max 7’s new and unique algorithms for real-time intonation, pitch and time correction. Last, we want to take a moment to tell you about another great download from the innovative Max for Cats developer called OSCiLLOT. This collection of modules allows you to create a virtual modular dream synth right inside your DAW. While the full version of OSCiLLOT costs $99, there is a free download version called OSCiLLOT Lite which includes 26 cool modules so you can get started patching and building yojur own instruments right away. If you’ve ever used Native Instruments Reaktor to build your own instruments, OSCiLLOT has somewhat of a similar workflow. It’s also a great tool for picking up some sound design and signal flow techniques along the way.